The next icon there is, is an icon with two chat bubbles. This is your party tab. You can have multiple people in a party, but it isn’t like a group. A party lasts as long as everyone is online or more than two people are online. If everyone goes offline in the party, the party is disbanded. There are two tabs to the party tab, which are ‘My Party,’ and ‘Requests.’ My Party shows everyone who is currently in your party at the time, and the chat will usually turn out yellow as it is a private chat between you and whoever is in the party. 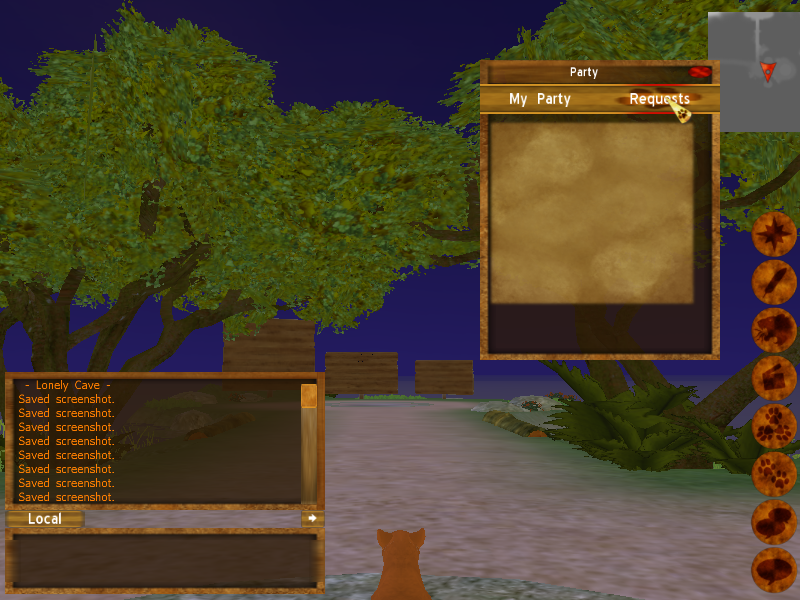 The Request tab shows people who are wanting into your party, or people who are requesting you to join their party. Either way, you can accept or deny any request you deem fit. 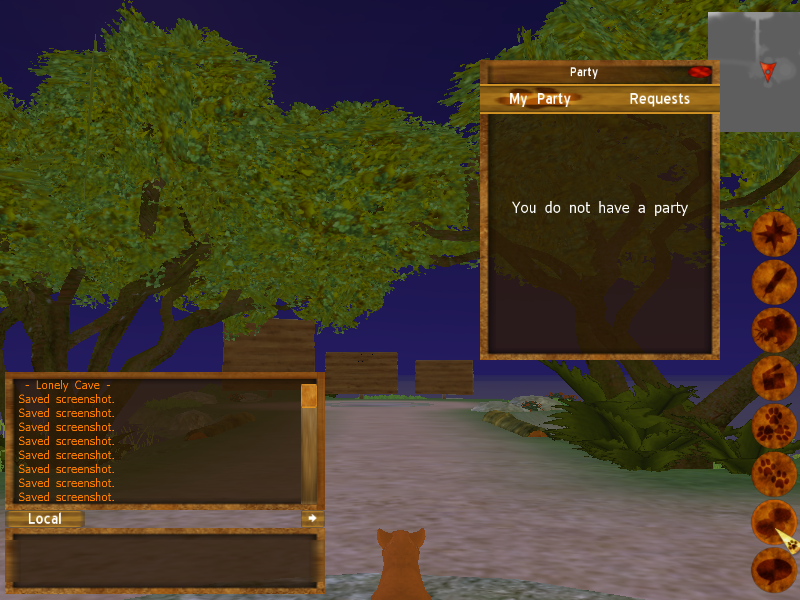 You may also double click a player and press ‘Party’ to invite them to your party, or to join a party they have open.